The renowed all-round excellence of Porsche is found throughout the line-up of sports cars coming from Zuffenhausen near Stuttgart, Germany. The Cayman S is a great example of this philosophy, even though competitors are faster, wilder and more bold, the S variant of the Cayman offers the best handling in its class. It all changed this year with the introduction of the BMW 1-Series M coupe and the Cayman R, fierce competition even coming from their own stables. Even though it would be a great comparison it is not the time to discuss the competition yet, but instead German tuner TechArt from Leonberg offered us a drive in a Basalt Black Metallic Cayman S outfitted with the latest from the car specialist. On the outside as well as on the inside the Germans added numerous extraordinary upgrades, like the GTsport body kit program. TechArt offers a range of products, which includes three body kits. Next to GTsport you can opt for the GT or Widebody program. The test car featured a full set of options. A windscreen with grey tint top, bi-xenon lighting, dynamic cornering lights, Porsche Active Suspension Management (PASM) and Metallic paint were just a few options on the list. The interior included Sport Chrono Package with PDK, seat heating, cruise control, sport seats front, automatic climate control, luggage compartment, telephone module for PCM, universal audio interface, and sound package plus. Thus a loaded car still leaving enough space for the engineers from TechArt. So what did TechArt change to the car? Lets start on the outside. Clearly visible is the GTsport body kit consisting of a front spoiler II GTS style including multifunctional daytime running light black and a splitter and air outlet in precious carbon fiber. The outside mirror trims are silver, and the side skirts have been replaced with new ones. At the rear the spoiler II GTS style has an adjustable profile and gurney in carbon fiber. The rear diffusor is also made from carbon and consists of two-pieces. 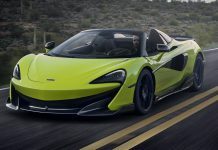 The aggressive and wider look is accompanied by Formula 19 inch GTS black gloss wheels fitted with Michelin Pilot Sport PS2 tires, one inch bigger than normal. The wheel set sizes 8,5×19 OT 48 and 235/35ZR19 at the front, and 10×19 OT 40 and 295/30ZR19 at the rear. The characteristics of the Cayman have been changed completely by the Germans. The bold looks of the tuned German sports car emphasize a more aggressive setup, which still looks a little awkward from some angles. But somehow it does look a lot better than the standard exterior trim. On the technical level only a sports air filter and racing black chrome exhaust system with round twin tailpipes were fitted to the sports car providing an improved and distinguished sound track. A performance upgrade from 295hp to 385hp and 407Nm of torque is available, but was not installed on our test car. 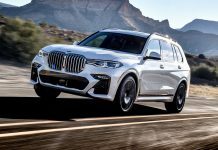 Coil-over suspension VarioPlus and a Noselift-system were added to ensure a stiffer handling and providing the ease of lifting the nose when obstacles are blocking the way for the driver. Without any changes to the performance output, we could end this piece of our story stating that it’s nothing more than a poor man’s 911. But as anyone who has driven one can attest, the Cayman is no weak link when it comes to its driving characteristics. Our PDK-equipped test car accelerated to 100km/h in 4.9 seconds when performing a start in sport plus mode with launch control, a feature only available with the optional Sport Chrono package. The ZF-supplied, dual-clutch gearbox worked flawlessly in automatic mode, with barely noticeable shifts. The oomph of the stock engine is superb in lower gears, but at cruising speed you definitely miss some additional push from the 3.4 liter flat-six. Still, the Cayman S remains a delight to drive and is one of the best cornering cars we have ever driven. Relaxed around the straight, alert the moment you twist the wheel and even sharper beyond a 30 degree steering angle. It is capable of achieving wonderful cornering speeds. The ride and handling balance is almost perfect, it is only the lack of sheer performance, which left us wondering what the TechArt performance upgrade would do to our love for this sports car. The seating position inside the Cayman S is sufficient for any type of driver. The position behind the steering is what you expect from a German sports car from Zuffenhausen. TechArt added numerous parts to improve the quality level of the stock interior. The package features a leather treatment to the dashboard including glove box lid and handle, cockpit cover, sport chrono housing, front center console, center console cover (PDK), handbrake gear upper part, armrest rear center console, door panels and fond coverings for the luggage handles. The test car had decorative stitching in custom red color, and a three-spoke airbag sport steering wheel and airbag unit with special TechArt paddle shifters. Other refinements include a painted interior with the interior styling package I (center console), interior styling package II (backrest sport seats), dashboard trims, air vents adjusters, instrument rings, gear lever PDK, shift gate, a panel around shift gate, sport chrono framework, door openers, and airbag covers all painted in black. The safety belts are in red, and the TechArt logo was added to the new aluminum sports pedals and floor mats with leather piping. 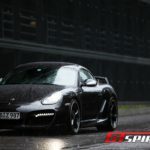 In the end we can conclude that German tuner TechArt offers a wide range of options for the Cayman S. From three different body kits to interior upgrades, and from an exhaust systems to 19 inch wheels. For those owners of a Cayman model (Normal, S and R) there is enough opportunity refining the basic package of the German sports car. For those interested in our verdict of the basic Cayman S, we think it is the best value for money in the Cayman range, a great sports car, a bit under-powered, but a true cornering hero.